When the guest list went up this year for Montreal’s 2012 Comic Con we here at Comics: The Gathering were overcome with joy. 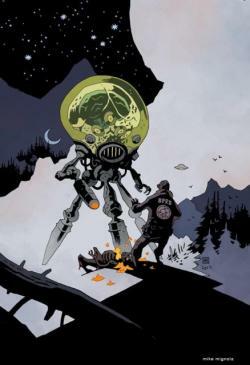 One of our absolute all-time favorite creators would be attending, Mike Mignola. Armed with media passes we were not leaving until we got an interview with the comic book legend. 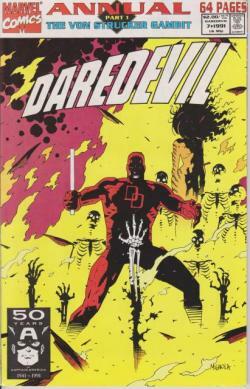 Mike Mignola started his career inking for Marvel and eventually went on to do covers and drawings for both Marvel and DC. 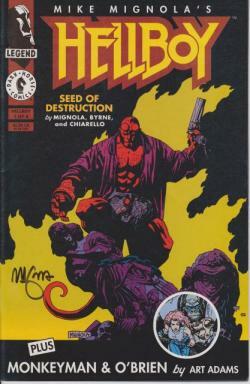 He is of course most famously known for his creation for Dark Horse Comics, Hellboy. 2012 actually marks the 20th anniversary of Hellboy and the Hellboy universe which is quite a remarkable feat for an independent comic book creation. 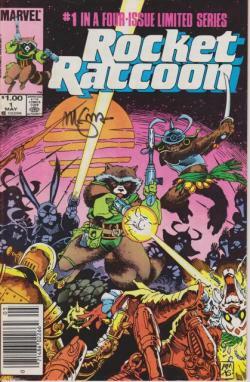 With such a vast array of covers and interior work done over the years by Mignola my biggest challenge became what to get signed by my comic book hero. After discussing it over with my buddies it was made clear to me not to be “that guy” who dumps a box of issues in front of Mignola for him to sign. I decided on 3 titles which I thought best represented his career. On a quick side note I actually got stuck behind “that guy” while waiting to get my items signed. Mignola did not look impressed! 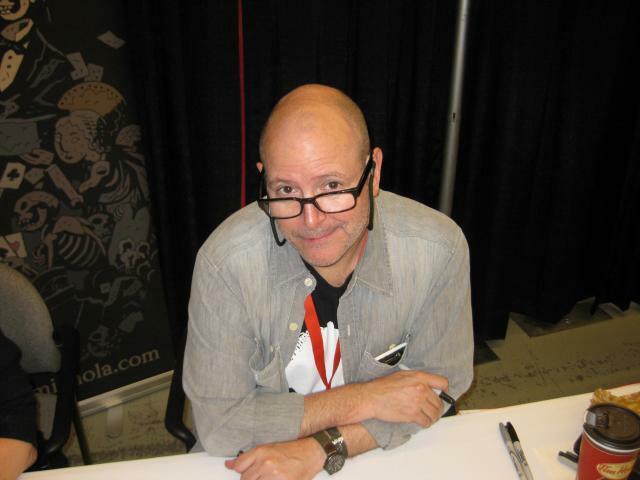 Without further delay here is our interview with Mike Mignola from the 2012 Montreal Comic Con conducted by Luc St-Clair. Read and enjoy…. CTG: Ok welcome to the MCC. The team at Comics the Gathering are big fans of your work. Can you tell me how you first got started in comics? Was it a childhood fascination? MM: Well I definitely liked comics when I was a kid but mostly my goal at some point was to draw monsters for a living. And somewhere in the middle of art school I started thinking seriously where am I going to go where I can draw monsters for a living. And comics did seem like the natural place. CTG: Looking forward to the return of Hellboy any chance of Roger returning? MM: There’s always the possibility. I mean I don’t want to do that Marvel thing where guys are only dead for a couple of issues. He’s dead but then so is Hellboy and Hellboy has his own comic. So you never know. CTG: Speaking of Hellboy with the announcement at Comic Con of Hellboy 3 the movie where are guys script wise and what year can we expect a release date? MM: Well you’re jumping the gun! The announcement was that Del Toro was interested. There’s a lot of ground to cover between Del Toro being interested and any actual work on a movie. So we’re beginning to talk. 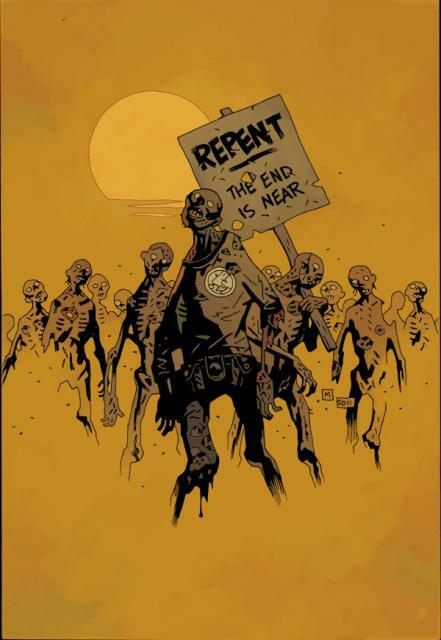 CTG: With the success of comics in movies and TV has any studio expressed interest in a BPRD weekly show or have you shopped that idea around already? MM: Nobody has. 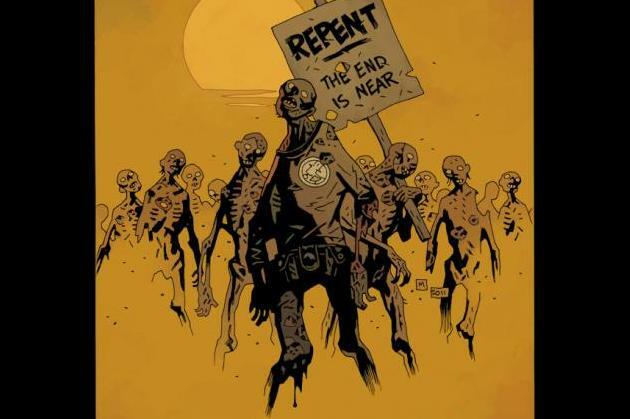 I mean BPRD is tied to Hellboy. All that stuff is with Universal Studio. Universal hasn’t shown a lot of interest in being in the Hellboy business since the second movie. But you know if we get a third movie up and running hopefully that can change. CTG: Which creator with whom you haven’t worked with would be a dream collaboration for you? What type of story would you like to do with this person? MM: Boy I don’t know. I’m so busy working with the handful of guys I’ve been working with. I can’t think of anybody offhand. You know it’s. I just I don’t have the luxury to think about that because I’m so busy dealing with what’s actually in front of me. CTG: How do feel about companies like Marvel and DC rebooting their titles? Do you miss working for them? MM: No, not at all. For me once I got a taste for doing my own character there was nothing at all appealing about working for somebody else. I like not having a boss, so. CTG: What’s the single work you’re most proud of? MM: It’s probably still a short story I did with my daughter called the Magician and the Snake. That thing just worked perfect. It’s in the Amazing Screw-On Head and Other Curious Objects collections. So Screw-On Head, Death Story, the Magician and the Snake, and then the best of the Hellboy stuff. I’m still pretty happy with the Hellboy stuff. CTG: I remember an Aliens story you did. I think it was called Salvation. (Mignola: Yea). That was great story. MM: They all tend to blur together. CTG: What piece of work have you done do you consider a disappointment or something if you could back and change you would? CTG: Ok thanks. Is your workplace cluttered or clean? How important is that or does it not affect your work? MM: You know I can’t say it’s clean. It’s not terrible but it does get cluttered if I’ve been working for a few days. You know every few days or every week or so I got to get in and sweep it up a little bit. I can’t work in a giant out of control mess, when I have to step over giant piles of books and I’m kicking papers when I’m walking. That’s when it’s too much. CTG: So there’s order in your disorder? CTG: Past or present what’s your favorite run you’ve worked on? MM: My favorite comic book runs? Still it’s got to be Hellboy. I mean just the fact that it’s been 20 years I’ve been able to maintain this book and expand it and still kind of keep a certain focus to everything. You know I’m really proud of this book, this series and these related books. It’s certainly nothing I ever expected to do to have it expand the way it has. But it’s never gotten out of control so I’m pretty proud of that. CTG: Are you on Twitter and how do you think social media is affecting or influencing the comic book industry? MM: I’m on Facebook but I’m not on Twitter. (Mignola’s wife: Yes you are). Oh I am on Twitter. My wife handles a lot of that kind of stuff. It certainly the social thing is very good for making announcements and promotions and that kind of stuff. CTG: Well thanks a lot. This has been an honor. Enjoy the rest of Comic Con. MM: Thank you very much. I’d like to share a little anecdote to wrap up this interview. With all the excitement of being at the Montreal Comic Con and getting to meet one of my favorite artists I was a little dazed and probably a little tired with the early morning drive. I actually ended up losing my camera within 30 minutes of being there. I retraced my steps and asked around, but nobody had seen it. I was upset not only for my carelessness but also because I had a lot of my newborn’s pictures on the memory card. I calmed myself down and said I wasn’t going to let this ruin my Con experience but decided to retrace my steps one last time right from the beginning. I approached Mignola’s table and low and behold my camera was sitting in front of his wife. I was so relieved and thanked them profusely. My comic book idol had become my hero that day!! Sweet interview! I like the fact that his wife chimed in with the twitter comment. Great choices on the signed material too.